Kid and baby friendly! A favorite treat of mine, gluten free if you get quality oats, and oh so easy! 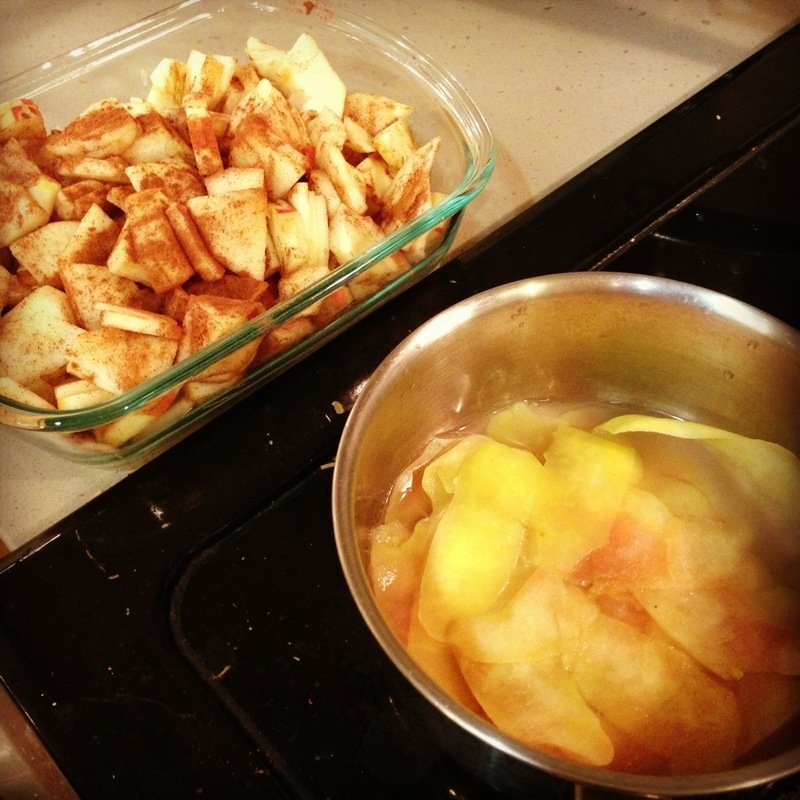 1)Two apples sliced and coated in cinnamon. Take the apple peels and core, and simmer in a small water bath, covered. 2)While extracting the would-be-wasted apple juice, take half a cup of oatmeal and half a cup of any kind of flour (I use stone ground whole wheat) and add a few tbsps of hemp hearts, flax seed or other favorite “sprinkles”. If not avoiding sugar- add one tbsp of coconut sugar. 3)Now strain out the apple juice over the dry mixture, pour about 3 tbsp of coconut oil and mix until moist. Add more coconut oil as needed. Spread evenly over apples. 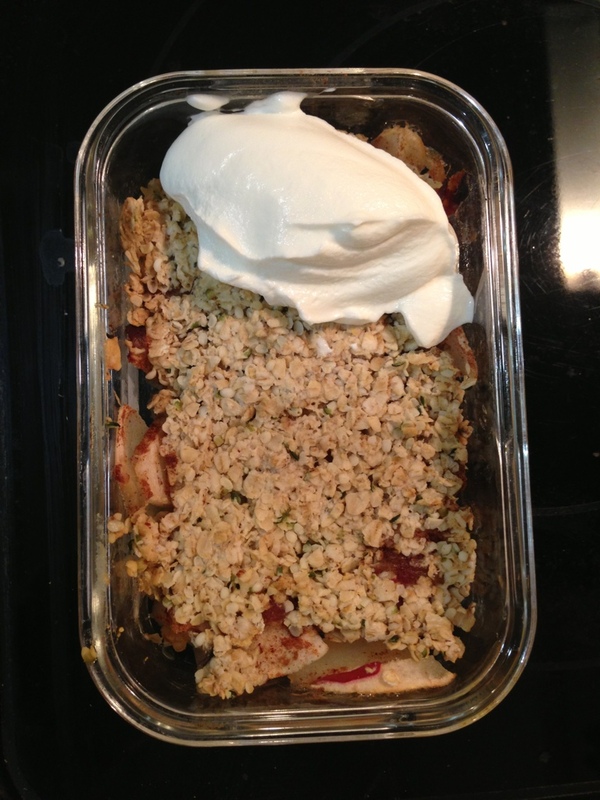 Serve with plain yogurt or coconut cream! It was really nice to be able to enjoy a dessert from the same bowl with my 9 month old. If they are any bigger than that, I’d double the batch to 4-5 apples.